It's not the Pokemon game people were expecting, but the world famous monsters are heading to the iPad with the Pokemon Trading Card Game. Josh Wittenkeller on Twitter has the leak, and The Pokemon Company has confirmed that the game is real. No timeline was presented for the game's release, nor is it anything entirely new. 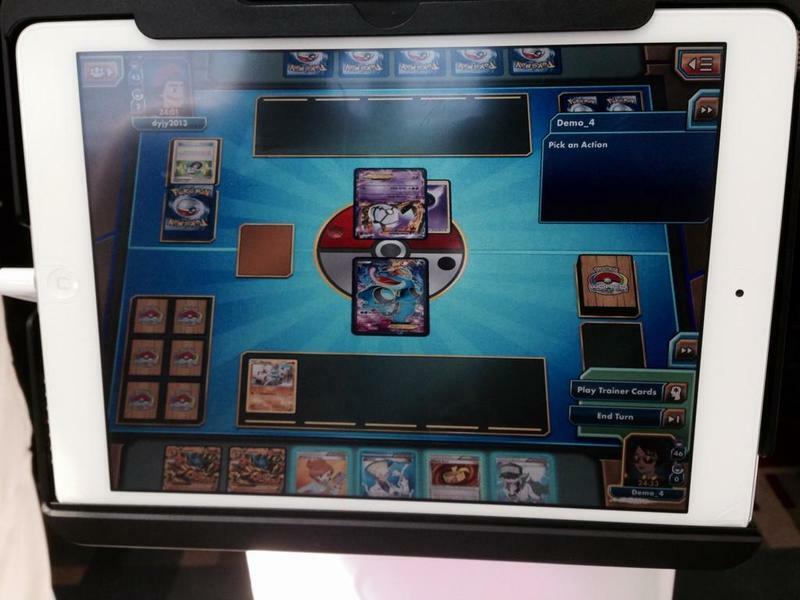 This very same version of the Pokemon Trading Card Game can be found on Windows PC and Mac, but the mere fact that it is on a tablet is now bound to raise a lot of questions. Those who have been wondering about Nintendo's and The Pokemon Company's future with mobile devices are sure to start the debate all over again with this news. Both companies have been adamant about keeping fully realized games exclusive to Nintendo products, and only companion apps relating to Nintendo products have been distributed so far. Perhaps they don't see collectible card games as games. Either that, or Heathstone and digital cards are simply too profitable to ignore.